This helix piercing looks a bit like this set of tragus piercings. This one however, breaths a bit more that vintage look. 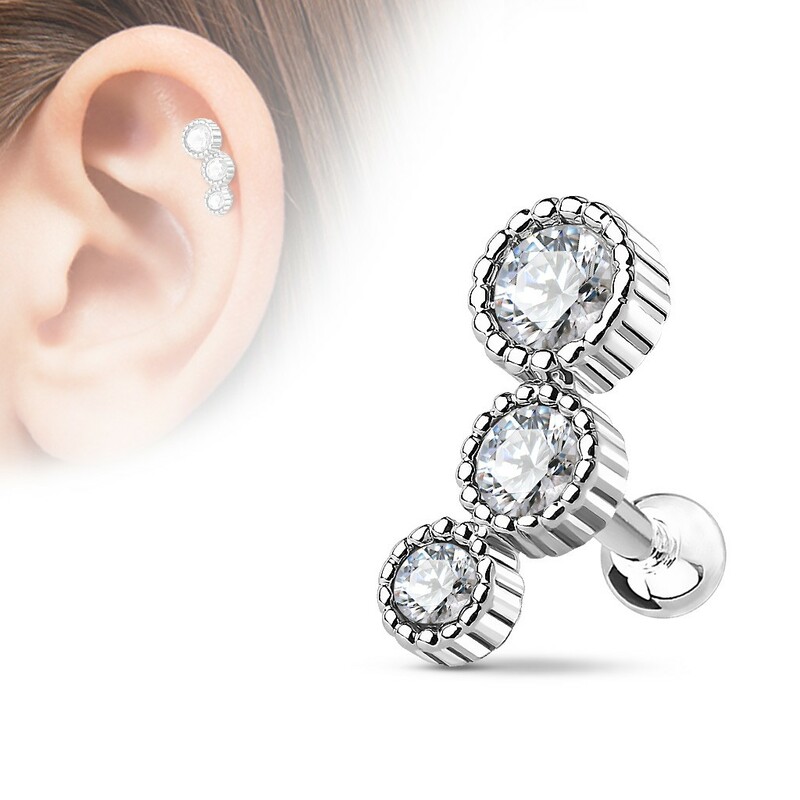 Rather than sleek edges, this piercing has rounded balls on the edge. This gives the gold, rose gold or steel also a chance to create a little bit shine. Because these crystal know how to emit a good strong glimmer. With three crystals in a row, there is almost always one that manages to reflect the light in a proper manner. The three crystal also make it look as if you are wearing three piercing very tight next to each other. Do take note with the (rose) gold plated versions. Gold plated body jewellery is always sensitive to water, sweat and soap and could start to lose their layer of gold.